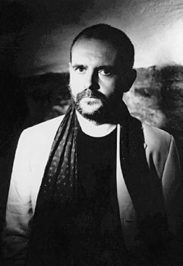 Patrick McCabe came to prominence with the publication of his third adult novel, The Butcher Boy, in 1992; the book was shortlisted for the Booker Prize in Britain and won the Irish Times-Aer Lingus Prize for fiction. McCabe's strength as an author lies in his ability to probe behind the veneer of respectability and conformity to reveal the brutality and the cloying and corrupting stagnation of Irish small-town life, but he is able to find compassion for the subjects of his fiction. His prose has a vitality and an anti-authoritarian bent, using everyday language to deconstruct the ideologies at work in Ireland between the early 1960s and the late 1970s. His books can be read as a plea for a pluralistic Irish culture that can encompass the p Patrick McCabe came to prominence with the publication of his third adult novel, The Butcher Boy, in 1992; the book was shortlisted for the Booker Prize in Britain and won the Irish Times-Aer Lingus Prize for fiction. McCabe's strength as an author lies in his ability to probe behind the veneer of respectability and conformity to reveal the brutality and the cloying and corrupting stagnation of Irish small-town life, but he is able to find compassion for the subjects of his fiction. His prose has a vitality and an anti-authoritarian bent, using everyday language to deconstruct the ideologies at work in Ireland between the early 1960s and the late 1970s. His books can be read as a plea for a pluralistic Irish culture that can encompass the past without being dominated by it. “You'll have to learn to forgive," he said. "For if you don't, you know what will happen?" "What, Doctor?" I croaked, for my outburst had exhausted me. "It will destroy you," he said as he handed me the tea.